General Pest Control Kit-This kit contains everything you need for pest control around your house at a discounted price. Lambdastar Ultracap 9.7 for use inside and around the outside perimeter. Intice 10 Perimeter Bait for use in the attic and around the outside perimeter. Cy Kick Aerosol with crack and crevice injection straw for use indoors in tight spaces and hard to reach area. Catchmaster 100i Glue traps for indoor trapping to identify and pinpoint pest hiding spots. Spectre PS aerosol can be compared to Phantom Aerosol with the same formulation of 0.5% Chlorfenapyr. Both Spectre and Phantom products are classified as non-repellents. As a non-repellent insecticide, the insects cannot detect its presence, allowing the insects to cross over its chemical placements, instead of avoiding the area. Spectre PS does not stain and may be combined with any roach baiting program and is an excellent product for fabric pests. Shockwave 1 Aerosol combines two residual insecticides, two synergists (for a powerful synergy), and an IGR (insect growth regulator) for a total aerosol. Shockwave 1 combines flushing action (flushes them out of hiding areas and kills on contact) with a residual action (long-term action) and an IGR to cut growth cycles. LambdaStar UltraCap 9.7 is a micro-encapsulated lambda-cyhalothrin formulation that is easy to measure and mix. It has a long residual protection with excellent results. Compared to Demand CS, also a lambda-cyhalothrin 9.7% formulation, LamdaStar UltraCap has a higher mortality rate after 12 weeks of testing. Bifen LP covers covers 5,000-10,000 square feet. Bifen LP is used to control ants (including imported fire ants), roaches, spiders, fleas, ticks, worms, crickets, and almost all other insect pests. Compare Bifen LP to Talstar PL Granulars with the same active Ingredient: Bifenthrin 0.20%, they both have the same label. Vendetta Cockroach Gel Bait, a professional roach killer bait is highly attractive to roaches.Vendetta roach bait quickly and effectively kills hard-to-kill cockroaches. Vendetta roach bait attracts both bait-averse and non-averse cockroaches. It comes with a plunger for easy application. Easy to use; dispenses smoothly and easily. Shelf life is approximately 3 years or more stored at room temperature. Get the best of both classes of German roach control products with Vendetta Roach Bait Gel and Gentrol Point Sources IGR combined in this economical kit. Kill the roaches with Vendetta and keep them from reproducing with Gentrol Point Sources. Invict Xpress, with Imidacloprid kills a broad spectrum of insects at top speed. 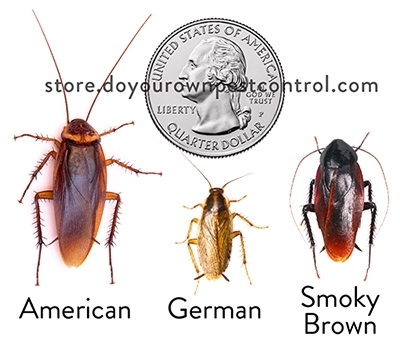 The listed pests it kills include ants, roaches, crickets, mole crickets, silverfish, firebrats and earwigs. Cy-Kick "CS" Aerosol differs from Cy-Kick Aerosol, giving a longer residual and superior coverage due its SmartCap Technology(micro-encapsulation). Cy-Kick Aerosol and Cy-Kick CS Aerosol have Cyfluthrin 0.1%. Cy-Kick CS Aerosol has a crack and crevice tip, which is handy in getting the tiniest cracks and crevices where insects hide. It may also be applied as a spot treatment. It is labeled to kill such insects as ants, bedbugs, roaches, pantry moths, carpenter ants, carpet beetles, scorpions, silverfish, pantry pests and more in residential and commercial buildings. It is labeled for food handling establishments and has a low odor.